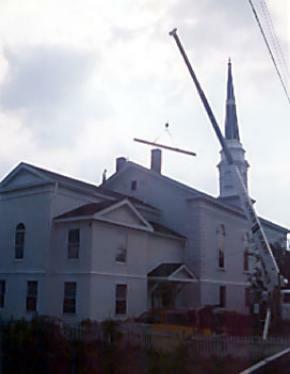 Since our beginning in 1977, we’ve dismantled many post and beam buildings, and learned a great deal from the old masters in the process. We’ve been able to study the various ways the early framers designed their structures, paying special attention to the many unique features that have stood the tests of time and Vermont weather for well over a century. Many of these frames have been carefully refurbished and re-erected into new houses and barns, which, while modern and up-to-date, still capture the rare and antique beauty of their hand-hewn legacy. 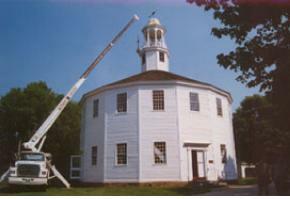 The historic Round Church, Richmond, Vt. 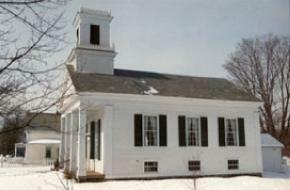 The Unitarian Church, Montpelier, Vt.